1. Nourish your body - Fuel your body with what it needs - sleep well, eat well, love well. 2. Don't always listen to yourself - Don't believe everything you think and don't ever take your thoughts too seriously. On that same note it's okay to listen to that inner voice, just don't let it hold you back from living. 3. Challenge your mindset - Don't get stuck in a rut. Try new things, do crosswords, read books, try to learn a new language. Keep your mind active and always be willing to listen to new ideas. 4. Laugh at yourself - It's okay to be ditzy, it's alright if you tripped in public... things happen. Mindful people know this and they let it go and learn to laugh, even when it's hard. 5. Don't avoid emotions, share your feelings and work through them - While mindful people laugh at their mistakes, they also own their sadness, their anger, etc. Be sure to voice your frustrations, hurts, and other emotional feelings in a productive way and work through them. 6. Listen with concentration to those around you - Intently listening will open so many doors, whether it's a new friendship or a business adventure - be sure to listen to those around you and be present. 7. Slow down and absorb information - Instead of rushing through life, checking notifications constantly, and speed reading each book you check out from the library - take some time to "smell the roses" as it were and allow yourself to slow down and enjoy life. 8. Stay curious - Spend time outdoors, do science experiments, and be a silly amount of curious at all times. Life should be fun so go down the less taken path and enjoy it. 9. Be aware that all things come and go and accept that fact - This may be the hardest part of being mindful for me. Knowing that things come and go allows you to accept life as it is and this makes living mindfully so much easier. 10. Allow yourself to take a break - While living mindfully is important, so is taking a break. It's okay to check out, turn your phone off, try not to think of anything, and just spend time in a quiet room meditating... it's actually what mindfully living is all about. So tell me, do you live "mindfully"? 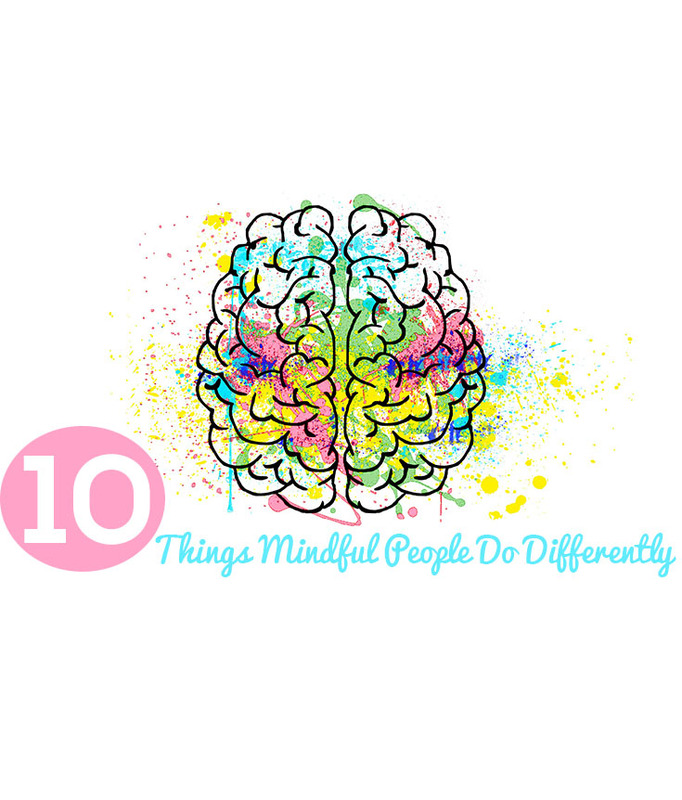 I'd love to hear your intentional behaviors that help you to leave a more mindful life! Let 'em at me in the comments below!